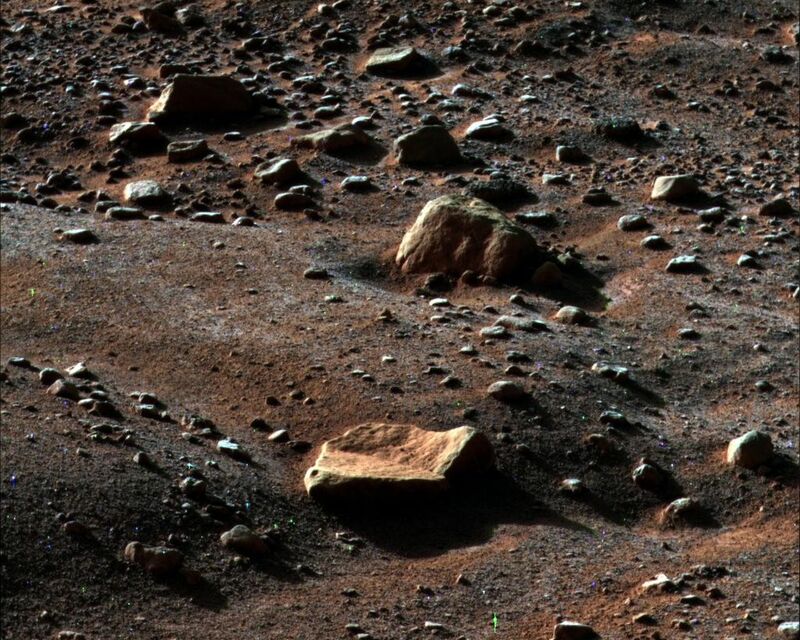 A thin layer of water frost is visible on the ground around NASA's Phoenix Mars Lander in this image taken by the Surface Stereo Imager at 6 a.m. on Sol 79 (August 14, 2008), the 79th Martian day after landing. The frost begins to disappear shortly after 6 a.m. as the sun rises on the Phoenix landing site. 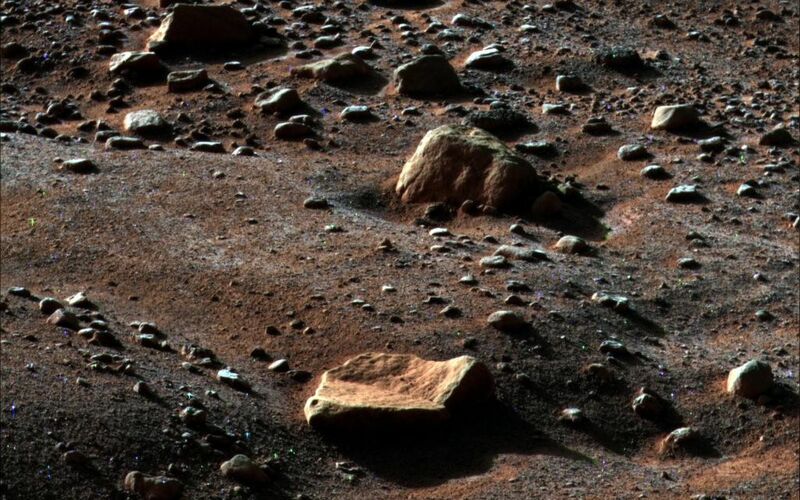 The sun was about 22 degrees above the horizon when the image was taken, enhancing the detail of the polygons, troughs and rocks around the landing site. 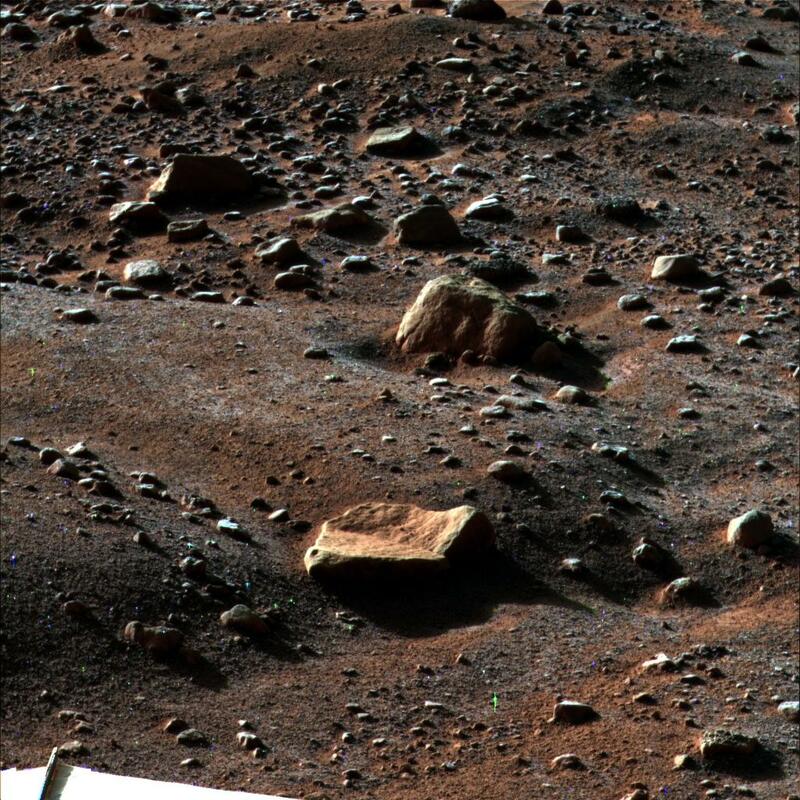 This view is looking east southeast with the lander's eastern solar panel visible in the bottom lefthand corner of the image. 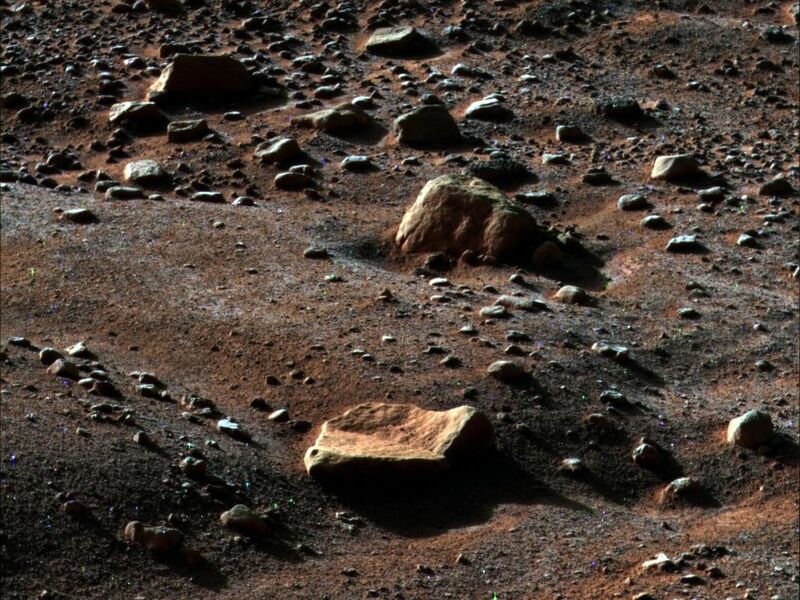 The rock in the foreground is informally named "Quadlings" and the rock near center is informally called "Winkies." This false color image has been enhanced to show color variations.